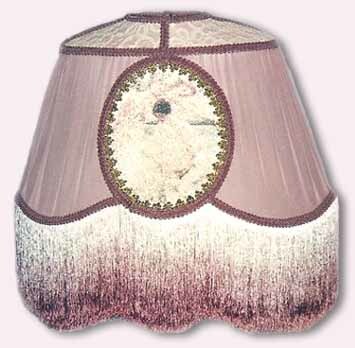 Fabulous Fringe offers an ever-expanding collection of beautiful, sensuous glass and acrylic fringe, along with lush, silky rayon fringe, appropriate for use on Victorian, Art Nouveau, Art Deco, and any other style of lampshade, (either as an embellishment to handmade shades, or to add some pazzazz to existing shades), as well as for dressing up scarves, shawls, purses, cocktail dresses, evening gowns, costumes, a variety of home decor (draperies, upholstered furniture, etc. ), and more. 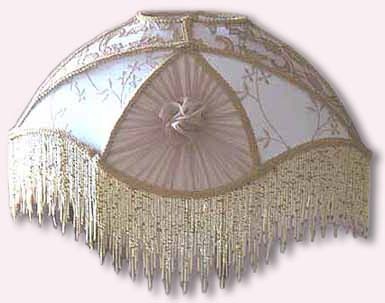 Be sure to see How-tos for a great source for instructions on making lampshades, and other useful information. Payment by PayPal is preferred (a very secure system that accepts all major credit and debit cards, and e-checks), but checks and money orders are also accepted. See Order for more. Please sign up for my mailing list and I'll let you know when I add something new.